Join us June 22nd at 8:30 AM for the 2019 Midtown Beach Run 5K! Formerly the Run Atlanta Midtown 5K, this race features as fun, fast, USATF certified course through beautiful Piedmont Park. Awards will be given to the top overall male and female, top overall masters runner male and female, and first in each age group (<11, 11-14, 15-19, 20-24, 25-29, 30-34, 35-39. 40-44, 45-49, 50-54, 55-59, 60-64, 65-69, 70 and Over. The Post Race Party is back again! Cash prizes for watermelon seeed spitting contest. Cool off after the race with some delicious watermelon and ice-cold lemonade! 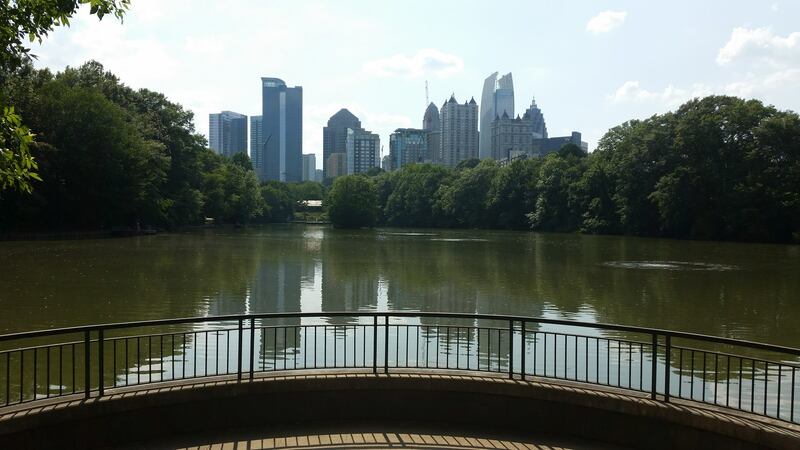 Start Line and Check-In: Piedmont Park main pavilion. Race day number pickup will be at the Start Line. Registration Info: $30 through April 1st, $35 after. $40 for race day registration if available (race caps at 2000 walkers/runners). Register on Active.com or in person at Phidippides, Ansley Mall (1544 Piedmont Ave, Atlanta, GA 30324). Packet Pickup: Packet pickup will be available at Phidippides, Ansley Mall on Saturday June 15, 17, 18, 19, 20.